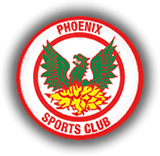 Phoenix Sports have added two players to their squad this week whilst VCD Athletic have been making additions. Manager Steve Boyle has signed striker Chinedu McKenzie from Redbridge and defender Steve Springett from Cray Wanderers as Phoenix Sports look to make an impression in the first season in Ryman 1 Division North. Meanwhile, new VCD Athletic manager Keith McMahon has confirmed the signing of defender Ricardo Joseph from Met Police. This follows on from the news of the signings of Loick Pires, Giannoulis Fakinos, Ryan Palmer, Aaron Best, Ritchie Graham and Leon Fisher. This entry was posted	on Tuesday, June 9th, 2015 at 9:30 pm	and is filed under Football, Non-League Football. You can follow any responses to this entry through the RSS 2.0 feed. Both comments and pings are currently closed.